After loooong waiting for my mem/int skills to complete and cutting off several which I can live without for some months, unlike without ships, I finally made my remap to full perception/willpower, and also put on +4 implants to these slots. Finally, the moron of the day: Unfortunately, the screenshot belongs to Ispia Jaydrath and not me. What is so funny? He is a prime example why don't turn off the warning for buying items for more than 50% of their overall value. Rorquals go for 2B, not 20. One keypress to someone, 18B gift to Ispia. Is there a valid reason why the game counts in billions? As in, when you first start, value like "1629" ISK are used? I doubt it. So why not remove some zeros there; makes it much easier readable. Actually, yes. Quite a few skills are relevant on a base of 1/100 of a percent. If your numbers are not fine enough, those skills would not have an effect. Example: You can't refine 1 Ore. You have to refine 333, so the system has the option to give you a small percentage loss on that. The same holds true with money. Newbie ammunition costs 5 to 20 ISK, and Tritanite (a basic crafting metal) costs about 5.20 depending on location. You need thousands of them though, and if the last two digits were gone, they'd either cost 6 (too expensive) or 5 (actually too cheap in many places). That said, the interface surely could point out this stuff better somehow. Yes, the game uses single ISk, even decimals. There are people trading e.g. tritanium (the basic mineral) by bying at say 3.95 ISK at a mining outpost and selling at 4.10 at a trade hub. Of course you then in turn need large quantities (read millions) of Trit for some construction jobs. I haven't played EvE in a long time but skill training looks more fun now, I remember spending my first month just on faster learning skills because if you didn't train them first you were a moron. Yes, there are plenty of items which cost a fraction of that. The most traded mineral, Tritanium costs about 5 ISK per unit; the most used ammo costs between 5 and 50 ISK. And the ship in question is far away from the newbie side of the scale (it needs about 75 days worth of skills to be even able to use it, and probably about 2-3 times as much to make good use of it due to needed support skills). Imagine WoW not having copper (the smallest ISK unit is 0,01), you would trade BiS equipment in millions already, too. Yet another "scam" enabled by the crappy UI. The huge time requirements on the more advanced skills are really starting to bug me. Don't you think it's ridiculous that you have to wait more than 20 DAYS before you can hop into a Charon? I mean, it's not like you'll be spending those 20 days on some kind of Charon-training. Instead, you'll be spending it being way less efficient while waiting for a silly timer to count down. There are many commodities with values between 1 and 1000 isk, and these would become substantially less readable. They're looking at revising skill progression, and part of that is likely to be reducing requirements for certain things; like industrial 4 instead of 5 as a prerequisite for freighter, and racial battleship 4 instead of 5 as a prerequisite for capital ships. I'm not sure this is a good thing. Eve's skills are already shallow (only a handful of skills apply to or are required for any one task), and removing substantial portions of the time investment to fly advanced ships will make them even shallower and lead to a game where anybody can fly anything with only a small time investment. Currently, skilling for many different roles requires a substantial time investment. I don't think this is a bad thing. "There are many commodities with values between 1 and 1000 isk, and these would become substantially less readable." I see, and this problem cannot be solved by dumbing that part down into cents? Although that'd save only 2 zeros. There must be more clever solutions. There is a good reason why paper money has different types of colors and faces on them. Eve is a harsh mistress. I wouldn't call it a scam, as that would imply some level of trust between buyer and seller. None existed here, merely the lack of attention of a player that someone took advantage of. Some people learn from a 20 isk mistake, others require a 20b isk mistake. We already have isk cents. And a difference in tritanium price of one isk cent per unit would have cost (or saved) me 4 million isk on my last order. @Parasoja: does it really matter? I mean, put an advanced, expensive ship in the hands of someone playing for a week, and that player will lose it soon enough. Yesterday I fitted a Rifter to the maximum possible with my current skills, and took it for a spin in lowsec, knowing I was probably going to lose it. Which is what happened when I found my first opponent. She was flying a T2 frigate loaded with drones. My Rifter was gone in less than 10 seconds. 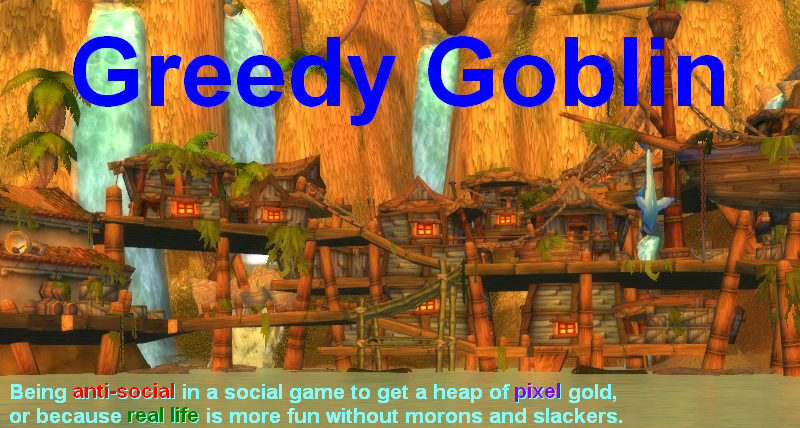 It felt pretty much then same as a level 10 WoW toon being instagibbed by a higher level one. If I would've been able to fly a similar ship, I would've had a chance. But not now, the outcome was decided before we even engaged. My point is, perhaps it would be better to just let anyone fly anything they can afford right from the start. You'd still have the typical MMO uneven playfield style of PVP, but at least you won't have players just waiting for months to try out other ships and modules.